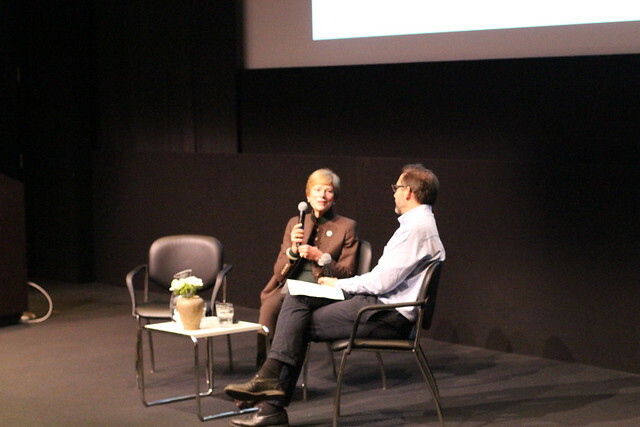 Thanks very much to Pamela Kramlich and BAMPFA Director Lawrence Rinder on 2/6/2017 for opening the 2017 Art, Technology, and Culture Colloquium program with "Collecting the Uncollectible"! We greatly enjoyed the discussion on curating new media art, the changing roles of museums, curators, and artists, as well as the construction of the Kramlich home for displaying art. Enjoy the photos taken from our Flickr album below as well as highlights from our Storify collection!